In addition to enjoying ourselves, part of our ethos is to benefit others through our singing — a principle that goes back to our foundation in 1966. Over the years we have helped over 30 charities and other good causes to raise thousands of pounds for their work, either by performing concerts for them, or by participating in concerts alongside others. A typical mixed programme would usually intersperse our singing with vocal and instrumental items by invited groups and soloists. If you are involved with a charity or other good cause and would like us to help you, please do contact us. We do charge a performance fee to cover our costs and to invest in new music. If you do not have a tuned piano for accompaniment we are able to provide our own keyboard. Charities we have helped over the past few years include the Bridgwater Arts Centre, National Trust Quantock Centre, Taunton Special Needs Activity Project (SNAP), Meningitis Now, the Taunton based ESCAPE Support Group, St Margaret's Somerset Hospice, Bridgwater Hospital’s League of Friends, Dorset and Somerset Air Ambulance, and the Middlezoy, Wembdon, Bridgwater Methodist, North Petherton and Cannington churches. Can we help your charity’s fundraising efforts through our singing? We would be happy to explore the possibility of holding a concert for you. Why not contact us now? 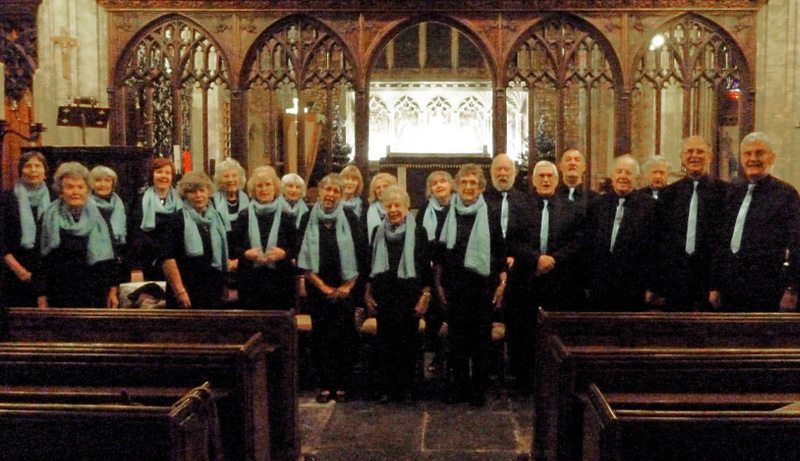 J Singers Christmas concert for Cannington church, December 2015.